Ninety-seven percent of all scientists conducting research on climate change have data to convince them that global warming is real and one of the foremost issues societies will need to cope with in the future. Yet debate rages about this issue in the public and political arenas while taking action to mediate causes and potential problems remains a struggle. Although the evidence for warming is amplified at high latitudes, the effect is global. Consequently, extensive efforts are under way to both document and quantify current and predict future rates of change. 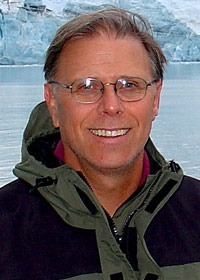 Ross Powell, an NIU Board of Trustees Professor and Distinguished Research Professor, will explore these issues during a Board of Trustees Professor Seminar on “Assessing and Predicting Effects of Global Warming at Earth’s Poles.” He also will highlight the work of current faculty and students that adds to a long history of polar research at NIU. The presentation begins at noon Monday, Feb. 24, in the Capitol Room of the Holmes Student Center. Refreshments are served at 11:30 a.m. No registration is required, and all are welcome. Powell, a member of the faculty in the Department of Geology and Environmental Geosciences who joined NIU in 1980, has spent 40 years researching in Alaska, Antarctica, Baffin Island, Chile and Svalbard. He focuses his research on dynamics of glaciers and ice sheets and their interaction with the sea, and in unraveling past ice sheet and climate cycles to better predict future trends. 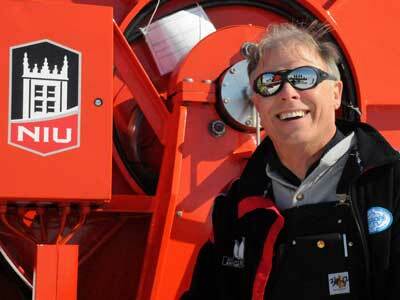 He currently is helping to establish and lead a $30 million international geological drilling program in Antarctica. Other work includes co-leading a large multi-disciplinary study of areas under the Antarctic Ice Sheet (both in a sub-ice lake and where the ice goes afloat into the ocean), drilling in southern Alaska and monitoring ice-ocean changes in Svalbard. Powell’s seminar is sponsored by the Office of the Provost and the Faculty Development and Instructional Design Center. For more information, call (815) 753-0595 or email facdev@niu.edu.